March 2014 | La Petite Noob | A Toronto-Based Fashion and Lifestyle Blog. We've all been there - just getting off work, with plans to rush to and limited time to get primped. Lately I've been finding that weeknight affairs are more regular, leaving limited time to transform from the tired, sweaty mess that I am post-work to fabulous (or as good as it's going to get!) 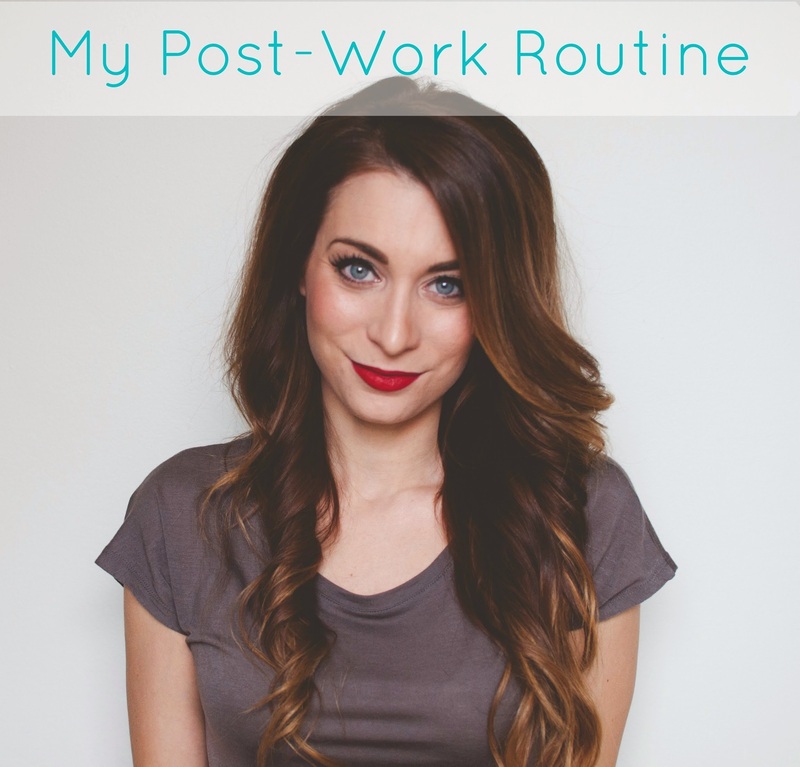 I've got my routine down to a science - taking me only 10 minutes (or less) to get myself together, leaving ample time for a de-stressing cup of tea or sometimes even a nap before a weeknight event. Read on for details on how I put myself together in a hurry. I know that my previous post regarding the shorts and tights trend had left me to the conclusion that it wasn't for me - but I am not one to throw in the towel easily (plus I did not want to give up on such an easy winter to spring transitional outfit!) I think what was throwing me off with the previous outfit is that the look was a little 'young' for me - as someone approaching 30 at lightning speed, I think my days of booty showing short-shorts are far behind me. This time I chose a longer, more conservative short and paired them with an opaque tight and black bootie to create a longer leg. My one focal point , the leopard scarf, adds just enough personality without being overdone. Shorts and tights will certainly be in the outfit rotation from now on, but done more conservatively. Read on for additional photos and outfit details. I feel as though I am forever talking about the weather - specifically the never ending winter that Toronto seems to be trapped in. Despite the redundancy, I'm just going to come out and say it: I've about had it with this Winter! Honestly, I'm done! Today I must have hit a breaking point, staring at my nice collection of Spring pieces to add to my wardrobe, and decided that I'm not going to wait until warmer weather to start working their way into daily rotation. This blush pink skirt has been a long coveted item for Spring and Summer. After searching high and low for the perfect blush maxi, I stumbled upon one at Forever 21 for a Forever 21 price - score! Read on for additional photos and details on how I styled this Spring piece for Winter. I love a good lazy Sunday; a day where the only thing on the agenda is rest and relaxation (and maybe a little recuperating from the night before.) One of my favourite lazy-day items is this floral printed robe from an Etsy seller - SilkandMore. I had actually used her to make the robes that my bridesmaids wore during the morning of my wedding day, and I couldn't resist picking up an extra for myself! Read on for additional photos and more of a glimpse into my lazy day. I have been counting down the days until I can finally scream this simple statement from the hilltops : 'Hello Spring!' Yes, Spring has sprung in Toronto and this noob couldn't be happier. I chose to celebrate the day, and the warmer weather (6 degrees Celsius - I'll take it) by busting out my new favourite clothing item - patterned jogging pants. Seriously, whoever decided to bring jogging pants back from retirement and into mainstream fashion is owed a giant mouth-kiss from me. These things so comfortable, rivalling any sweatpant in your collection, and are a super simple piece to add and instantly modernise your wardrobe. Read on for additional photos and outfit details. Plaid seems to be everywhere lately and, like I tend to do with most trends, I'm treading my way into the look through my accessories. This plaid scarf is actually stolen from my husband - proof that it is sometimes worth a look in the men's department while shopping (or through your significant other's closet - either or.) It's a long way from an entire tartan ensemble, but adding a plaid accessory is a great and easy way to break up otherwise neutral look. Read on for additional photos and outfit details. I now live right outside of Toronto, in the 'burb of Port Credit - but am originally from Ottawa and consider that to be my hometown. I have a long haired chihuahua named Fritz. I am totally one of those people who refers to and treats their dog as their child. I know it's irritating, and a total conversation killer - but I am powerless to stop it! I am a Funeral Director - or an Undertaker or Mortician, depending on what part of the world you're in. Yes, that it my actual career. Yes, I did have to go to school for it. No, I am not joking. I truly love my job and have awesome co-workers. My background is Italian - both my mother an father are Italian, but I self-identify with a number of different other heritages. It really just depends on the day. I am the eldest of three children, and when I tell people they usually respond with - 'Yeah I can see that.' I don't know whether to be flattered or insulted. I am naturally drawn to strong people. I don't have the time or patience for insecurities. I love Degrassi - the original Canadian series with Joey Jeremiah, Snake, Wheels, etc. I've seen every episode at least 5 times, and can quote entire scenes. It's either impressive or sad, I'm not really sure. Do you watch The Real Housewives of anything? If so, be prepared to totally stop our previous conversation and focus solely on the plot line and characters of whichever Real Housewives is on cable at the moment. It's my guilty pleasure, and I often refer to myself as a 'Real Housewife of Port Credit' - much to my husband's chagrin. I can peel a banana with my toes - a skill that usually comes out at parties after a few too many gin and tonics. Casual Sundays - is there anything better? Most of my weekends off are jammed packed with activities, visiting family and friends, so when I do get a lazy Sunday it's cause for a celebration. Denim on denim, or the "Canadian Tuxedo" is my favourite new casual look - very on-trend, making you look effortlessly put-together. Read on for additional photos and outfit details. 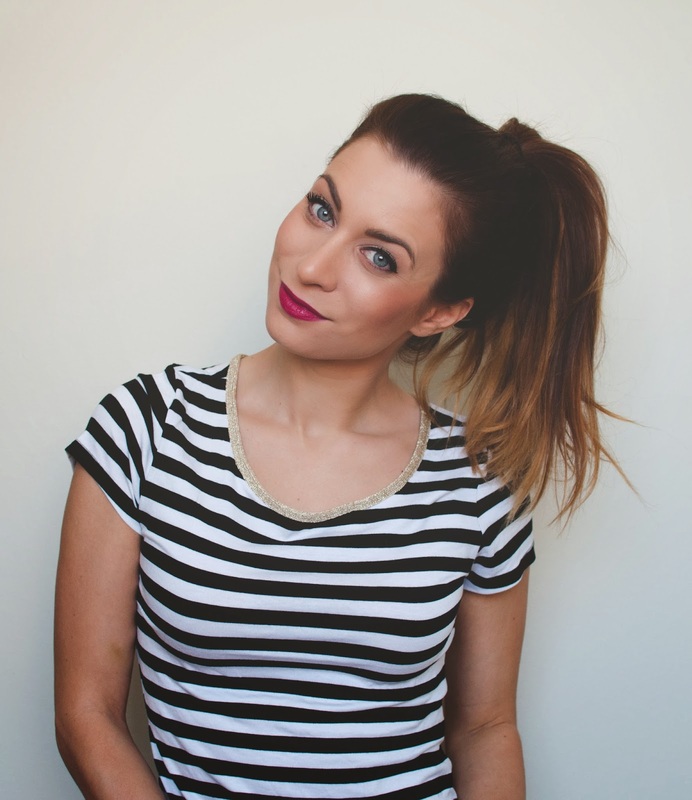 The top knot - my favourite go-to style for third day hair, when I need my hair out of my face or when I'm just feeling lazy. I like my top knots obnoxiously large, and messy - but I much prefer the simplicity of using only my natural hair rather than relying on a sock or a hair doughnut for volume (having tried to spend an entire day with a giant foam ring at the top of your head, I can tell you - it's uncomfortable!) 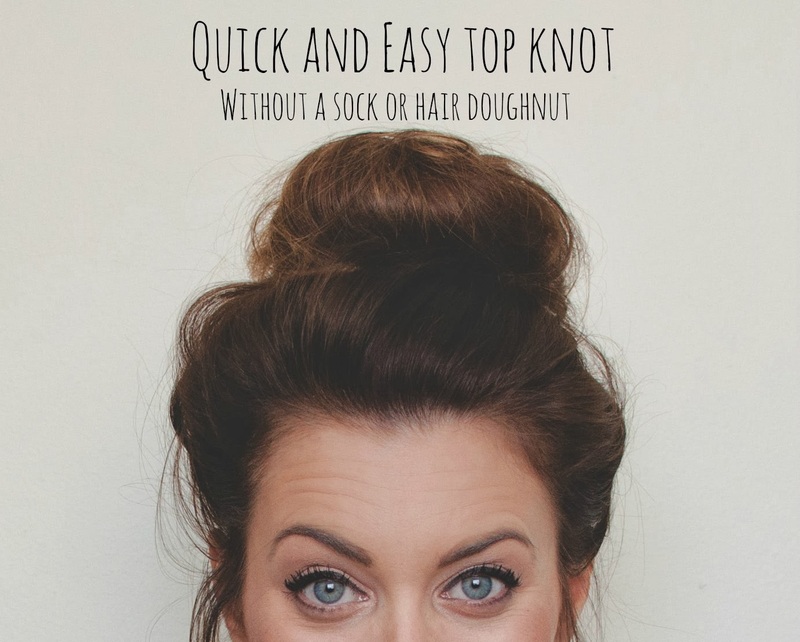 Read on for my tried and true method to quickly and easily achieve a perfect top knot, without the help of a sock or foam doughnut. Happy March Noobs! All throughout February, all I could think about was March: with its warmer temperatures and promises of spring. Imagine my surprise when the Toronto weather forecast calls for well-below freezing temperatures during the first week of March. Not one to be discouraged, I decided to bust out some of my favourite spring staples and incorporate them into a winter outfit. Old man winter may have overstayed his welcome, but I'm not going to wait until his departure to have some fun with spring neutrals. Read on for additional photos and outfit details.